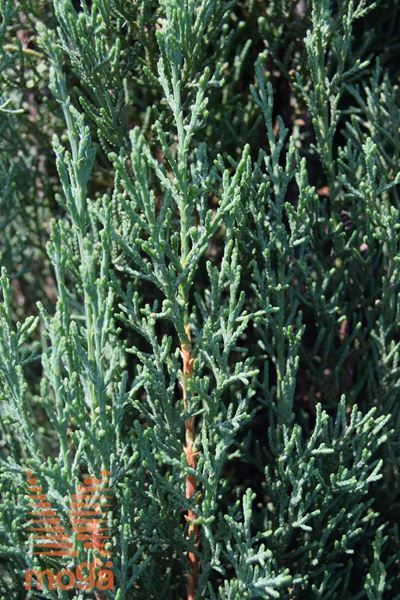 smooth Arizona cypress "Blue Sky"
Cupressus arizonica glabra "Blue Sky"
Medium-sized, narrow, upright evergreen conifer, tree (H 6-10 m, W up to 2 m), crown dense, narrowly columnar to narrowly oval. Needles scalelike (2-5 mm), tiny, stiff, light blue-green, with a resinous scent. Fruits cones, round to elongate (1,5-3 cm), at first olive green, ripe grey to grey brown.